Victoria Beckham. 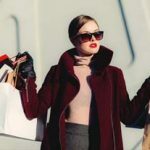 Is The Launch Of The Fashion Website SEO Ready? 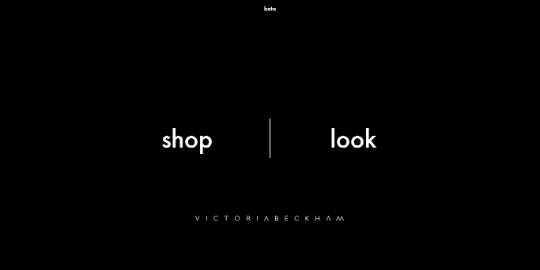 Okay, so for many fashionistas out there (with the right budget) the long awaited launch of Victoria Beckham’s eCommerce site was an absolute godsend! No longer would you have to hunt around the various luxury UK stockists to find the dress you have been admiring from the catwalk since fashion week, only to be left disappointed because by the time you find the stockist, they no longer have your size! Urggggh!!! Yes, we all hate it when that happens; me especially. As Mrs.Beckham is considered to be somewhat of a perfectionist, I have to admit I had very high expectations for this website! So let’s explore why I am slightly disappointed but not completely put off. The best place to start when analysing a website is the homepage. Especially for newly built eCommerce sites as this is the first page likely to rank, particularly in the case of already known and established fashion brands. But even for ALL eCommerce sites. I cannot stress how important your homepage is for your site. 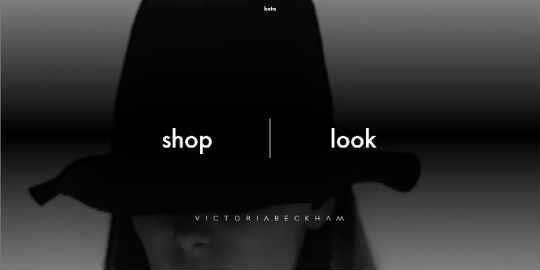 Quite often (and in Victoria Beckham’s case) the homepage is the first page of your site a visitor will land on. You do not have very long to keep a browser engaged on your site and you especially do not want your homepage (or ideally any page of your site) to have a high bounce rate. So take a look at Victoria Beckham’s homepage. On first look, it does reflect her well. It’s simple yet sophisticated and exceptionally “clean” looking; elegant with a black background and very simple navigation. There are only two directions a visitor can opt to navigate to, which is not a bad thing by any means. Unfortunately, due to the page load time (across Chrome, Firefox and IE browsers) the video background is pretty pointless. No-one is going to stick around long enough to see it (at least you hope not) not to mention the fact that it is detrimental to the site’s reputation within search engines. Okay, firstly think about the obvious. When you browse online as a potential shopper, do you sit around and wait for a website to load up? I don’t think many of you really do, even you brand owners out there. There’s no chance if a site takes longer than probably 10 seconds to load (yep not even 30) that I am going to stick around to see what all the fuss is about. I’ll get bored, annoyed and abandon the site. I’m going to go elsewhere. The thing is, whilst a slow page load time not only increases your bounce rate (ouch) it also can be a contributing factor to you slipping down the rankings of search engine results pages (SERPs) double ouch! Contrary to what many people would like to think, Google is NOT evil! Google believes in providing a good user experience and ultimately, that is what all of their various algorithm updates are trying to achieve. If your website’s page load time is slow then Google isn’t going to give you a thumbs up for that; and rightly so. Slow equals a bad experience. Unfortunately, it is a common factor in the fashion industry to favour design over functionality. On the catwalk, this is fine. Online; it is not! Anyone in the SEO industry is fully aware of how important content is on any site, including eCommerce sites. This again though, is something that is not made a priority in the fashion industry (unless you are a trade magazine). Pretty pictures and swanky design take priority right? WRONG! Unfortunately, looking through Victoria Beckham’s site it seems this is no exception. The site is severely lacking content on practically every page. As you can see the homepage, shop page and icon page do not feature any content at all. This is pretty much the same throughout the site. As any SEO knows this is bad, very, very, bad. Search engines needs content to crawl in order to determine what a web page is about and how relevant this is to particular search terms. However, let’s not be completely negative. Mrs VB does deserve some praise. Firstly, her imagery looks great. You can clearly see the product design of each dress, handbag or eyewear piece and the pages are not overcrowded. More excitingly though (yes apparently small things do get me excited) the links on the site are all text based links. Hallelujah! Something search engines can actually crawl. 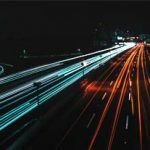 For this reason, it is a really good idea before developing your site to perform some keyword research so that you can ensure your site navigation and internal links are optimised for the most relevant, high volume search traffic keywords. 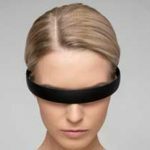 Optimising Your Site For Keywords – VB Are You Out Of Your Mind? It genuinely saddens me to see Victoria Beckham potentially losing out on search rankings that her site should dominate as well as prospective search traffic. I like Victoria Beckham, not just for her eye for fashion and her picture perfect breed (if we could all ensure our kids would be that damn good looking we wouldn’t be as put off by the pain of child birth). Fashion aside, I think she has really shown us she is now first and foremost, a successful and serious business woman and secondly, a fashion designer. So I want her to do well. The fashion industry is a fierce place to be and you can really struggle to succeed. The same goes for online. 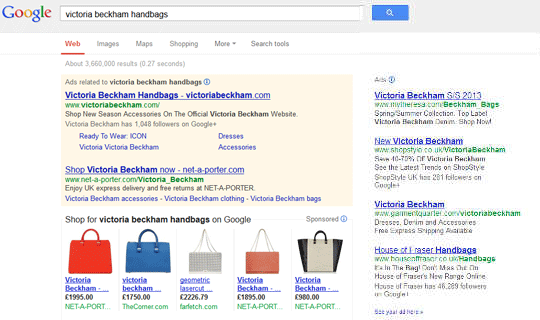 The keyword ‘victoria beckham’ has an estimated local monthly search volume in the UK of 49,500 searches. However, something else that Mrs Beckham’s site is optimised for within her Meta Descriptions is ‘victoria beckham dresses’ which has an estimated local monthly search volume of 3,600 searches and a global search volume of 12,100 visits. However, optimising the Page Title Tags and Meta Descriptions on the Icon and Victoria Victoria Beckham (VVB) pages for the keyword ‘designer dresses,’ would optimise Mrs Beckham’s site for a potential 9,900 local monthly searches (175% more search traffic) and 40,500 global monthly searches (235% more search traffic). If Victoria Beckham managed to get her site ranking on page one of Google UK for ‘designer dresses’ say at position 5; potentially she could look to drive 6% of that search traffic to her site. In the UK that would be 594 visits per month from one keyword. If only 10 of those visitors converted to buy at an average order value of £1200 (a 1.68% conversion rate which is relatively small for a known and trusted brand) that would drive a revenue of £12,000 (shipping excluded). You should always perform keyword research before writing anything on the site, including your product names. An example of where this could have been applied on Victoria Beckham’s site is the Icon page. Instead of naming every piece within this collection a ‘fitted dress’ which only achieves 140 local monthly searches, they could’ve been named ‘fitted pencil dress’ which then optimises each Icon product for the keyword ‘pencil dress; which achieves 2,900 local monthly searches (1,971% more traffic). Before you get too excited this is not a new line that Mrs Beckham has designed but it’s a fab way to get her site noticed. It is clearly evident from Mrs VB’s site that SEO has taken a clear back pedal in terms of the priority of her site. However, all is not lost. Mrs Beckham you have done me proud. 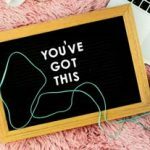 I am a huge supporter of PPC for newly launched websites as whilst you are waiting for your site to build its SEO authority (which can take anything from 6 – 12 months to do and is an ever changing practice) PPC can pick up the slack. Unfortunately Victoria Beckham’s adverts were featuring a position 1 yesterday afternoon for ‘designer handbags’ but it seems House of Fraser have knocked her off top spot. The great thing is it might not take Mrs Beckham long to get back up there if the campaign is optimised further and the bidding increased. Interestingly though, this search proved your name does not always get you where you want. In the organic search results for this search term Mrs Beckham is at position three beneath Net A Porter and Polyvore. This is why an integrated marketing campaign of SEO and PPC would be better suited to Mrs Beckham as her PPC can help her obtain new traffic, whilst the site’s SEO authority has time to build and rank for a variety of keywords. The problem is, people in the fashion industry aren’t aware of how to optimise their site. In fact, most CEO’s of eCommerce sites couldn’t tell you how to do this; because quite frankly it’s not their job. It’s ours. Now that people are switching on more to the need and requirement of SEO amongst other digital marketing services, it’s our job to start speaking up and educating people, which is something we feel very strongly about here at ThoughtShift. We want to train eCommerce business to be better online which is why in addition to our digital marketing training courses, we also offer free Wifi Workshops. Part 2 – Technical Audit; Victoria Beckham Were You Ready To Launch? In this blog post I have really only touched on a few key points that could help Victoria Beckham to further optimise her site but in part 2, I will be looking at whether the site was really ready to launch into the world of online. Get a preview into a technical audit of Mrs Beckham’s site to see if there is anything else that could be preventing the site from ranking long term by following my blog for more fashion eCommerce insights. Christina has worked in eCommerce since 2005 and Digital Marketing since 2011, she has an expansive knowledge and expertise in integrating multi-channel campaigns to increase lead generation and revenue and has done so for clients such as Calumet Photographic, Roomservice by CORT and WOLF.